All BVCA training courses are delivered by leading industry experts. The faculty members have accumulated a wealth of knowledge within the industry and their chosen field, enabling them to deliver high quality, interactive and engaging courses to hundreds of learners each year. Please find below a brief overview of each faculty members background and the courses they deliver. Jon works alongside investment teams to support operational value creation within investee companies. He shares best practice across the portfolio supporting management teams as they develop growth strategies and helps them monitor performance. After gaining a degree in Molecular Biology & Biochemistry at Durham University, Jon qualified as a chartered accountant with PwC and held roles within the Training, Transaction Services and Consulting teams. During this time, Jon designed and rolled out PwC’s inaugural Due Diligence Training Programme across Europe in 1997. In 2005, Jon joined LDC to focus on performance improvement in its portfolio companies. Over his 15-year private equity career Jon has gained significant experience in a wide range of value creating activities and has particular expertise in driving change through complex integrations, IT implementation programmes, as well as 100-day planning initiatives. Jon was born in Middlesbrough and because he believes the team chooses you, is a long suffering Boro fan. He is also an ardent Yorkshire Cricket Club follower and enjoys running and tennis. When not trying to keep in shape, Jon likes to spend time with his three daughters. Sheryl Hanson is a Business Psychologist with 15 years industry experience, initially as a recruitment consultant before graduating with a first class honors degree and a masters degree in Occupational Psychology from the University of Nottingham in 2000. She has worked with a number of well known VC houses undertaking coaching and personal development, as well as personality assessment for selection and development purposes. She also undertakes psychometrics on management teams. John Handley has 25 years PE & VC industry experience and has lectured for the BVCA for over 15 years. 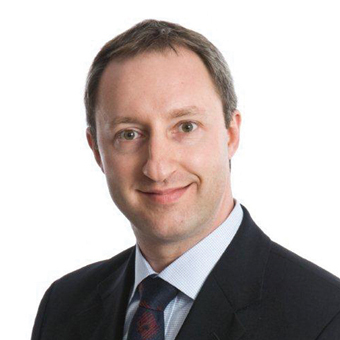 Having left LDC in 2005, in his current pluralistic career he chairs five companies, is Chief Investment officer of Finance Birmingham which has grown from start up to £600m under management in five years as well lecturing for the BVCA and numerous other clients around the world. John also sits on the Investment Committees of AXM and chairs the IC of Ascension Ventures. He joined NatWest Ventures (Bridgepoint) in 1990. Having spent five years at NWV, John was appointed ECI Ventures’ first Regional Director for the Midlands. Joining LDC in 1999, John has led a wide range of transactions including the MBO and subsequent flotation of Manchester based IT healthcare specialist iSOFT and has acted as Non-Executive Director on over 30 investee companies. Clive’s venture capital career has spanned 30 years, the vast majority of which being with Lloyds Development Capital (LDC), one of the major players in the UK mid-market. During his time with LDC Clive opened a new regional office as well as heading the London team. Before entering the VC industry Clive qualified as a chartered accountant and completed an MBA at London Business School. Since leaving LDC Clive has been a director of Finance Wales plc, the finance subsidiary of the Welsh Assembly Government, and is also currently Chairman of the teleradiology business, Radiology Reporting Online LLP. He has been an advisor to a major UK Hedge Fund and was, for 4 years, Chairman of Lodestone Patient Care Ltd, a thriving digital diagnostics business. His other activities include management coaching and acting as a Course Director for the BVCA. Clive’s passion is sport, particularly rugby. He played at a senior level for Bridgend and Bristol and says he is still paying for the knocks taken! Heather Lightbody specialises in training with a focus on private equity, valuation and M&A. She has both a professional and personal interest in private equity, analysing PE purchases and exits and their impact on the broader corporate finance market. Heather worked with Esso Petroleum for five years in a range of finance functions. After completing an MBA at London Business School in 1985 Heather was an M&A consultant for five years. She worked for Yamaichi International for seven years in M&A, Eastern Europe coverage, debt and equity capital markets, and was appointed Executive Director in 1994. Heather joined DC Gardner Training in 1998 and was Managing Director from 1999 to 2004. In addition to training for the BVCA, Heather teaches at the London Stock Exchange. She is qualified to use Thomas International’s behavioural assessment PPA system, speaks fluent French and conversational Spanish. Robert is a highly experienced management consultant with 30 years of extensive purchasing, sales and business experience across a wide range of industries and sectors. He has built a successful consulting business specializing in procurement, sales and commercial management which has seen continued year on year growth for the past 15 years. Prior to establishing his own business Robert worked for management consulting firms Price Waterhouse and Ernst &Young and held senior operational roles in leading international firms including household product company Reckitt & Colman (now ReckittBenckiser) where he was European Purchasing Manager; power tools company Black& Decker; and automotive companies Rover Group and BMW. Spencer Miller has over 15 years of private equity experience, is the founder of SJF Partners, a specialist private equity boutique, is a member of the BVCA Council, the BVCA LP Committee, and is on the advisory board of Peracs, a private equity fund analytics company. Until the Summer 2015, he was a Managing Director in OPTrust’s Private Markets Group and Head of their London office, as well as being a member of their global Investment Committee, Operations Committee, and Risk Committee. OPTrust is a c.C$17 billion Ontario based pension fund jointly sponsored by the Government of Ontario and the Ontario Public Service Employees’ Union, and the Private Markets Group is responsible for all private equity and infrastructure investments on behalf of OPTrust. Graham Mold is currently Head of Growth Capital at Finance Birmingham where he manages an active £56m Mezzanine Fund. Finance Birmingham is a growing VC with c£600m under management. Prior to this Graham was a Executive Director at a VC in the Midlands for 11 years and has experience of all aspects of the VC industry including raising funds from investors, setting up funds, investing, portfolio management, divesting and investor liaison. Graham is an accountant by background, working with KPMG for many years on mainly plc work and transaction support. With the exception of two years working in Australia in the 90s, Graham has lived in the East Midlands since gaining a degree in Politics at Loughborough University in 1985. James is a highly experienced digital consultant with 15 years of extensive digital strategy and transformation experience across a wide range of industries and sectors. A digital expert, he works with businesses to facilitate business change and development through implementation of digital strategies and processes. James has significant experience supporting digital lead generation, customer strategy and digital service implementation programs for the Retail, FS, Life Science, Leisure and Transportation sectors. Prior to establishing Palladium Group, James was a strategy director at a top 50 digital agency before a successful digital consultant career working with leading consultancy firms including ATOS, KPMG, Arthur D Little and Deloitte. A true digital native, he is a respected speaker and trainer delivering highly interactive and engaging workshops for leading UK businesses and training organisation both in the UK and US. His sessions are interactive and hands-on. You’ll leave armed with new tools and techniques that can be implemented directly within the organisations you represent. James is also an engaging key note speaker, and is often asked to provide key note addresses at digital summits for audiences up to 1,000 people. His clients have included L’Oréal, Wella, Ralph Lauren, Zurich, RSA, Sun life of Canada, Argos, JTI and Astra Zeneca. Palladium Digital Group are the 2018 winner of the Commercial Due Diligence provider of the year at the Unquote British Private Equity awards. Paul works to help drive business performance and focus for a range of Investors, Chairmen, Directors and Executives. His experience and know-how prompts debate, discussion and decisions around business strategy, value and growth. His judgement and opinion is counted as a key enabler of clarity and a sounding board for establishing direction and purpose for a range of clients. His business counsel is welcomed into the Boardroom of Corporate businesses, Investment Committees and sought by successful Corporate Financiers. They appreciate his candour, take to his personal style and value his advice. Paul previously established, developed and led the UK Management Due Diligence practice for one of the largest selection organisations in the world. With a successful career in senior level recruitment and selection, Paul began to develop a niche understanding of the Corporate Finance Market in the late 90's and of the significance attached to the role of Management teams by investors. Paul helped establish Private Equity's early adoption and practice of Management Due Diligence in the UK mid-market. He has worked across a broad raft of sectors as well as a range of transaction structures within a deal value spectrum from small mid-market deals through to large transactions of over £750 million. Paul is now able to bring this experience to bear as a key advisor, coach and mentor to businesses pursuing an investment agenda to advise on Leadership and Management issues. He coaches Private Equity Investors and helps PE Houses select, manage and develop their talent. He advises Boards, Non-Execs and CEO's on how best to shape their business to deliver key strategic imperatives through their people. Paul has worked on many deals and with many successful businesses in his professional career and since establishing The Quinn Partnership this continues to grow. Murray holds Bachelor and Master’s Degrees in mechanical engineering from the University of Glasgow; an MBA from Cranfield School of Management and an accounting qualification from the Institute of Certified Accountants. He currently delivers NED development programmes for the Financial Times, BVCA and EBRD. His practical experience includes being a non-executive director (NED) of the Airline Division of British Aerospace which had revenues in excess of £1 billion and a nominee director of 3i. From 1985 to 2002, he was Chairman of Orchard Hotels, a start-up hotel company which he created with a colleague in 1985 and sold successfully to a listed company. Currently he is an NED of James Walker Group, an international engineering group, with revenues in excess of £190 million and operations in over 30 countries; chairman of Surface Generation, a high tech engineering company; chairman of Octopus Apollo VCT, a FTSE listed company which invests in UK unquoted companies and an NED of an energy company in Lithuania. In total he has held over 20 chairmanships and directorships and led three successful exits. He was shortlisted for the Sunday Times NED of the Year in 2013 for the Private Equity/Private Company Category. Annette is a Partner, COO and IR at Finch Capital. Prior to joining Finch Capital, Annette was Head of Investor Relations and Public Relations at Silverfleet Capital Partners, an established mid-market buyout investor, which raised Silverfleet II, a €870 million fund. Prior to Silverfleet she was the founding CFO of Palamon Capital Partners, a European growth investor, and latterly led its Investor Relations and PR activities, taking its funds under management to €1.3 billion. She is also an active participant in the private equity community and served on the BVCA Board. Today she serves on the Venture Council of Invest Europe, is a member of the BVCA Investor Relations Advisory Group and a member of the Invest Europe Working Group on Accounting Standards, Valuation and Reporting. Prior to joining the private equity industry, Annette worked in the insurance industry at Sedgwick plc, a LSE listed company in various financial roles in the UK, USA and Europe and thereafter was CFO of Windsor PLC, LSE listed company. She started her career at PricewaterhouseCoopers. Annette holds a B.Com (Hons) from the University of Johannesburg and is a Fellow of the Institute of Chartered Accountants in England and Wales. Mark Woolhouse is the Managing Director of Capital City Training & Consulting. Mark graduated from St John’s Oxford and entered the banking world, training with JP Morgan in New York and subsequently working with one of JP Morgan’s London based affiliates, Saudi International Bank. He then worked with the UK merchant banks Hill Samuel and Charterhouse. Mark has a very broad background in corporate and investment banking, having worked over a 14 year period as an analyst, investor, corporate financier and structured finance originator and adviser. Mark worked as a sovereign and corporate credit analyst for a large bond portfolio investing across the credit spectrum, from AAA sovereigns and ABS to US high yield and “busted” convertibles. Mark subsequently ran a sizeable loan portfolio and became an advisor and originator, structuring and arranging over $2Bn of loans for a series of SABIC joint ventures in Saudi Arabia. Mark then moved into European infrastructure financing where he advised the UK Government on the tendering of the Channel Tunnel Rail link project and separately advised the winning private sector consortium on the Athens Ring Road project where Mark’s team arranged and structured in excess of £1Bn of loans and guarantees. Mark continues his involvement in infrastructure and has recently worked as a consultant with a UK regulator. In addition to his banking experience, Mark has also arranged and led a highly successful management buyout of a Sheffield based engineering business and was instrumental in the development over the first half of the decade of one of London’s leading tailored financial training businesses, which he and his partners successfully sold in 2006. As a trainer Mark has worked internationally with numerous global investment banks and multinationals, including: Citigroup, Barclays Capital, Rothschild, Morgan Stanley, HSBC and KPMG. Mark’s background in leveraged finance and private equity has led him to roles with Lloyds Development Capital, Terra Firma and the BVCA. Mark trains broadly in loans and fixed income, corporate finance, valuation and financial modelling. He coaches at senior levels across a range of investment subjects including credit and fixed income analysis, corporate structuring, leveraged finance, leveraged products and securitisation. Mark has also authored manuals on credit products, corporate structuring and the financial modelling.